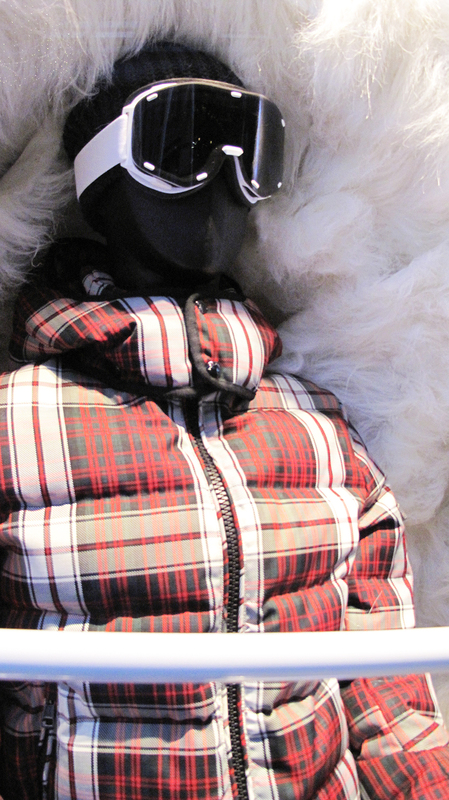 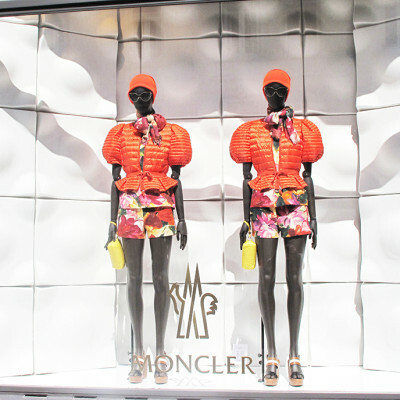 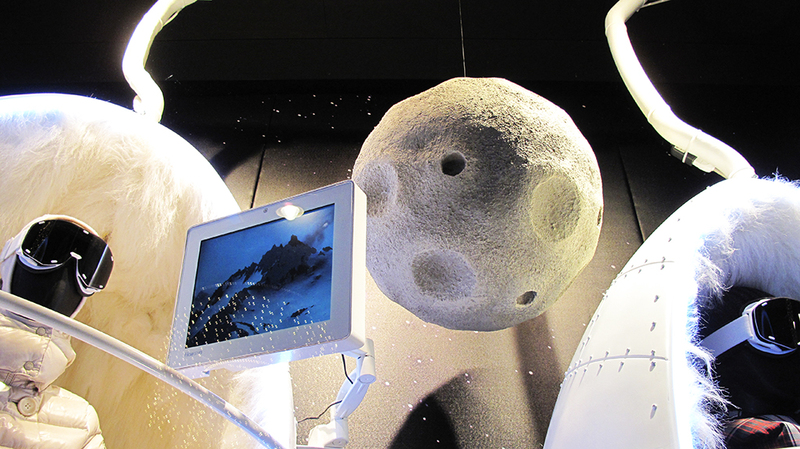 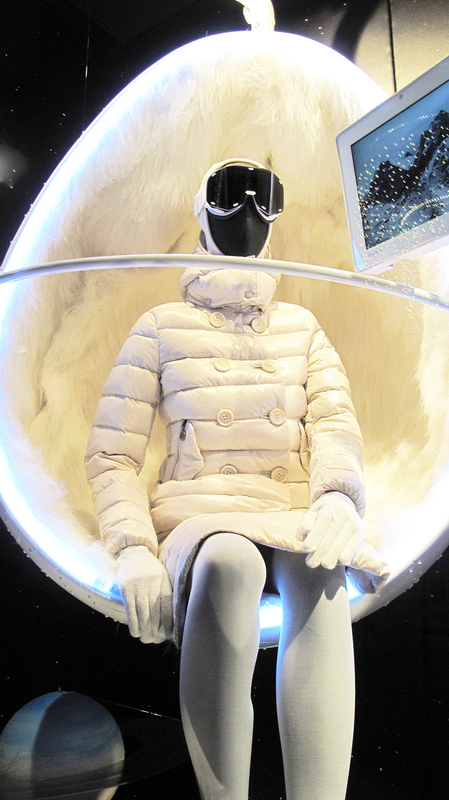 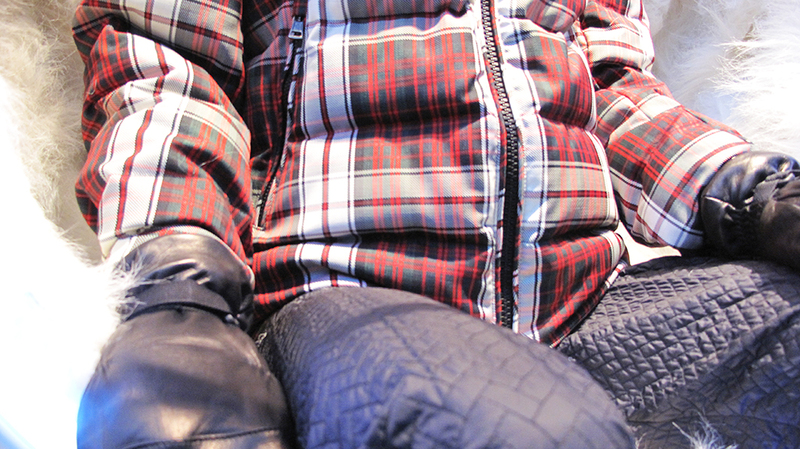 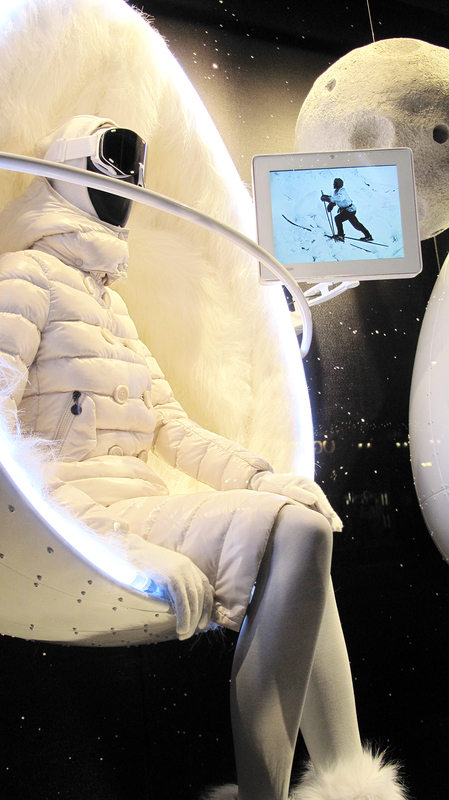 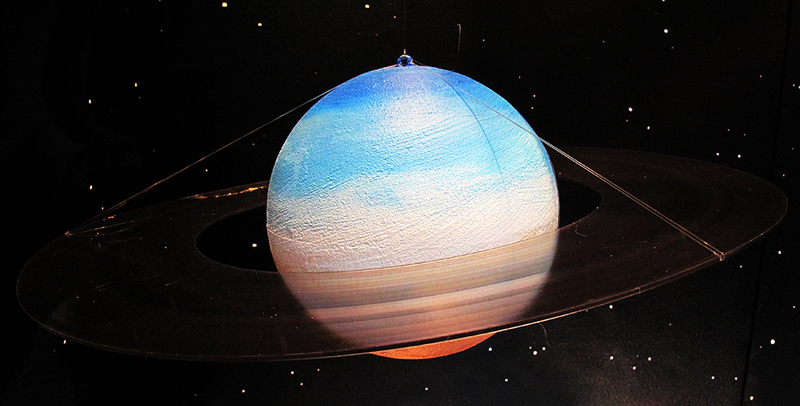 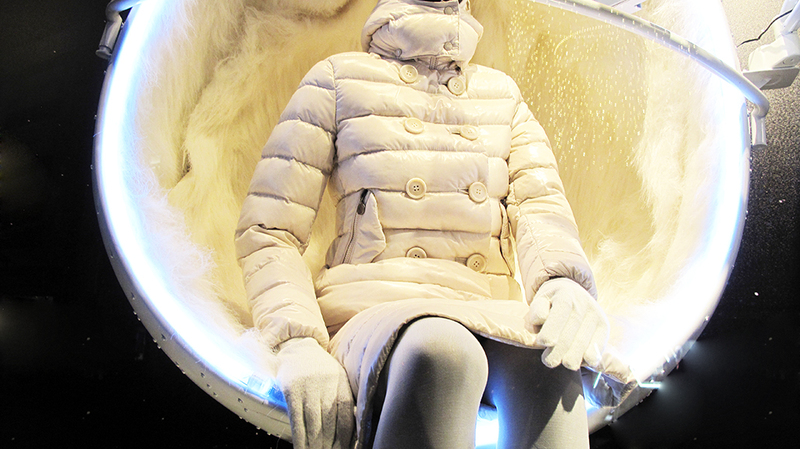 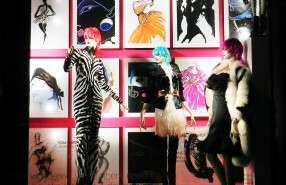 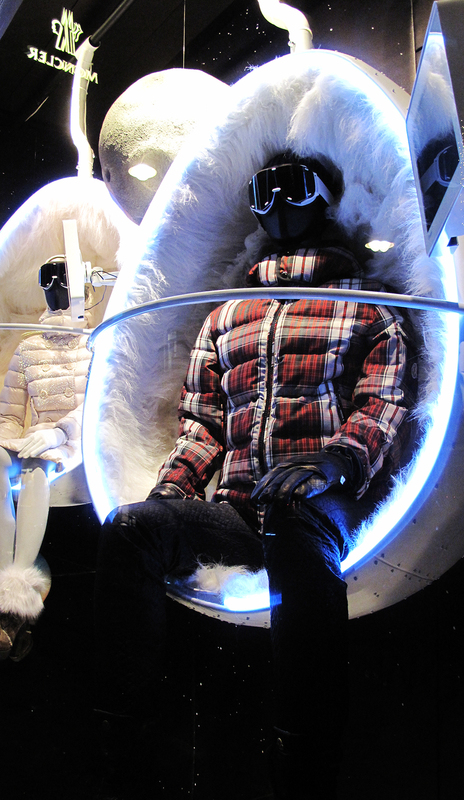 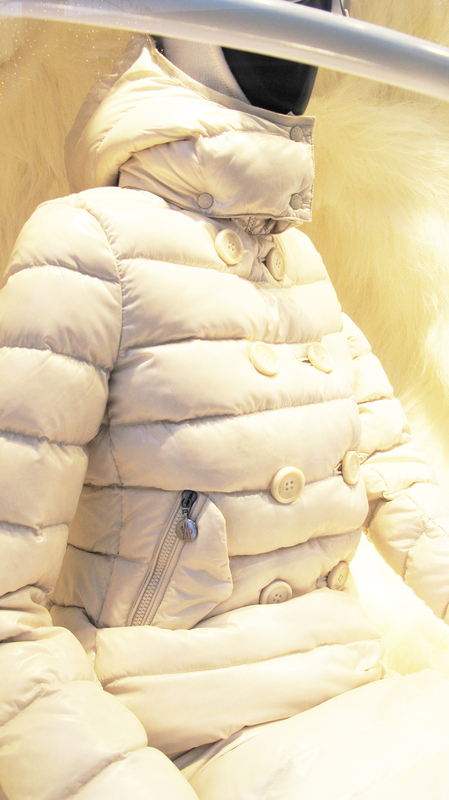 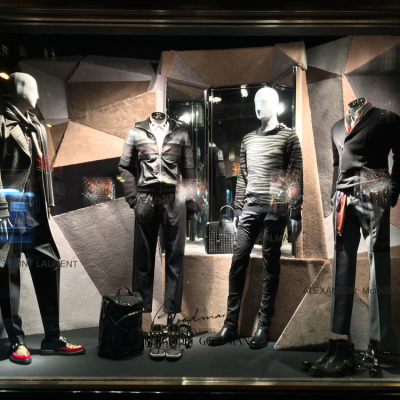 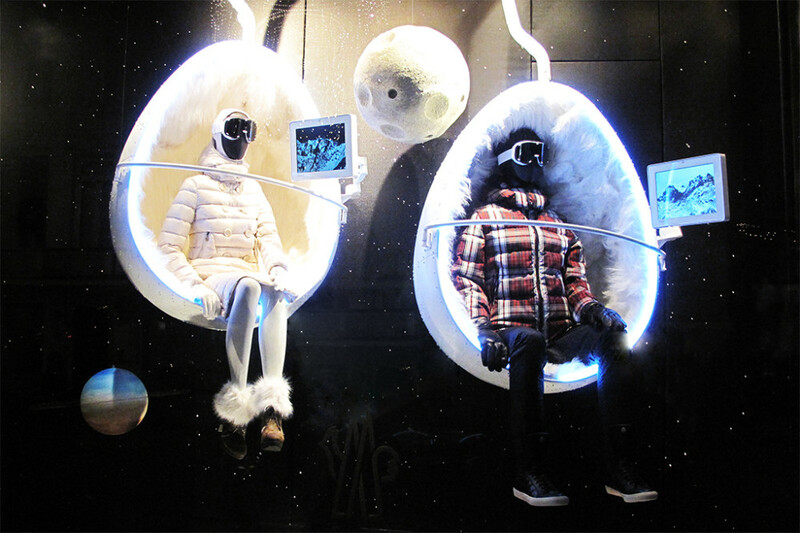 Space is the theme for Moncler winter window display of 2013, where the mannequins are sitting in furry egg chairs and floating through the galaxy. 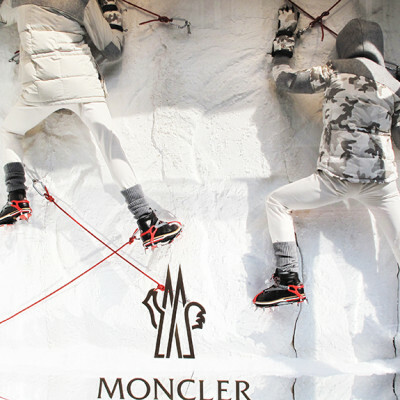 Moncler Brown Charlotte Fox Fur And Shearling Cuff Suede Ankle Boots. 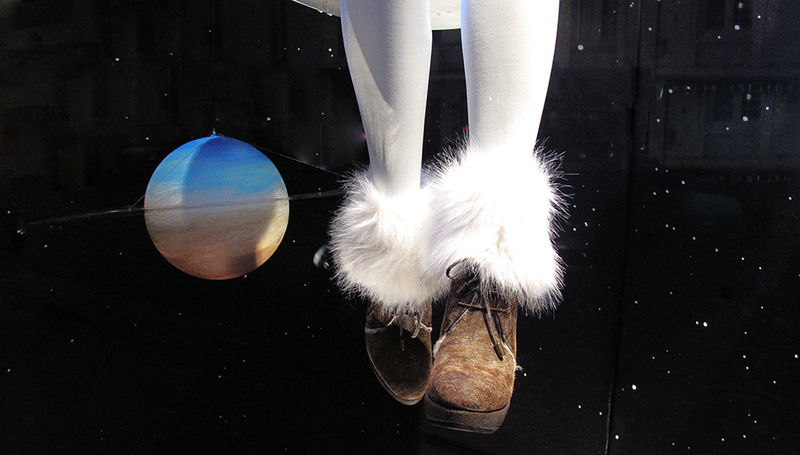 Rustic suede wedge with a lace-up front, topped with a genuine Asiatic raccoon fur and shearling cuff.